Once you are home with your brand spanking new bundle of joy it can be hard to find the time to eat. Regardless of whether you are breastfeeding or not, you need to make sure you get enough nutrients to have enough energy. If you are breastfeeding bub then it is doubly important as baby will take everything they need from you whether you are getting deficient or not. But, YOU need the nutrients and energy, to revitalise and heal you and make up for all that they took during those nine months already. Making sure you get a good balanced diet can be very difficult. So here are some great liquid breakfasts (or anytime) meals. Each has a different nutritional benefit. The Pumpkin Pie Smoothie is rich in Vitamin A, fibre and carotenoids as well as healthy fats. 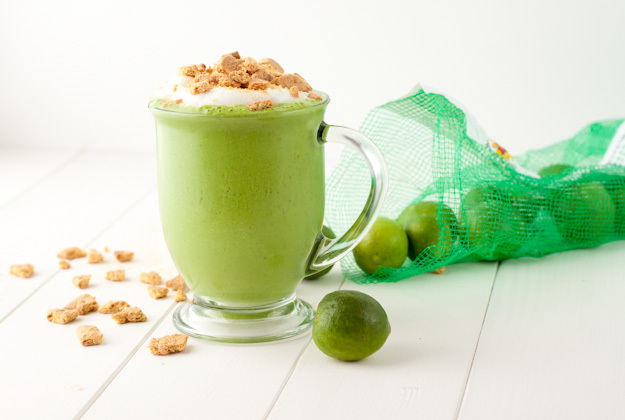 Our Key Lime Pie Smoothie is full of fibre, vitamin C, healthy fats and can be make high iron. 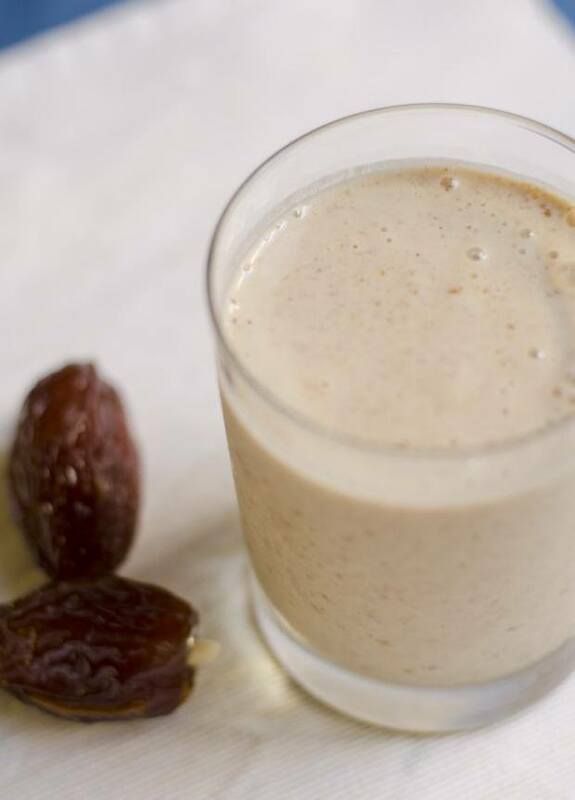 Our Dulce de Leche Smoothie is calcium rich and very luscious. Lastly, the Black-Bean Brownie Smoothie is full of beans! No joke and rich in antioxidants, healthy fats, fibre, phytonutrients and protein. All are easy, quick, convenient and packed with essential nutrients for new moms. Try having a different one each day to mix up your nutritional intake. Get daddy, or someone supporting you, to make you a batch before they leave for the day. Although they have been designed to be easy enough to make quickly yourself. This is a great way to use left over roast pumpkin, just roast with minimal or without salt. Keep diced roast pumpkin in the fridge to toss in salads, smoothies, make quick soup by pureeing with hot stock or even spreading on a sanga! Optional: add 1 tablespoon pumpkin seeds for an extra health boost! Combine all the ingredients in a small pan and warm until just simmering. Use the cinnamon and ginger to taste, I add 1/2 teaspoon each which is fairly strong. Pour carefully into a heat proof blender jug and, holding a tea towel over the lid, purée until smooth and creamy. Add extra liquid if needed. Serve with a dollop of coconut cream on top and extra cinnamon. A warming breakfast on a cold morning. For a calcium rich smoothie make with buttermilk instead of coconut cream. In a blender combine all of the ingredients and pulse, adding enough apple juice or water to make a smooth creamy smoothie. Enjoy as a nutritious and filling breakfast full of healthy oils and rich in vitamin C.
Top with an extra dollop of coconut cream and some crumbled graham crackers for the ‘crust’ for a real indulgence. Add a big handful of spinach or other greens like green beans, kale leaves or a bit of parsley. You wont taste the greens with all the creamy-limey goodness. This makes it extra high in Iron, which the Vitamin C aids you to digest. Just don’t consume with dairy as this inhibits iron absorption. Inspired by that delicious South American confection that translates to ‘candy of milk’. This is a much healthier alternative packed with calcium and potassium. Combine all of the ingredients in a blender and purée until super smooth and silky. Enjoy sitting in the sun or with your vitamin D supplements for maximum calcium absorption. 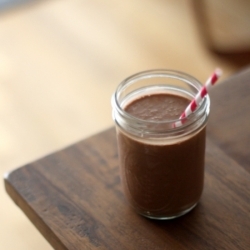 An easy to drink breakfast for breastfeeding moms, or anyone after a quick breakie or snack. Sounds kinda crazy, adding beans to a smoothie, but its really tasty and very filling. Add more cocoa if you like it more chocolaty. Raw eggs are very good for us, provided they are very fresh. Check if an egg is fresh by putting it in a glass of cold water. If it floats to the top its no good. If it stays at the bottom its fresh. Raw eggs are also very easy to digest and the yolk is fully of very healthy fats and cell binding lecithin. If you are pregnant or not advised to eat raw eggs then use the Lecithin granules which are made from soy beans or from sunflower seeds. Lecithin is a nutritious fatty substances that is present in eggs and other foods and is essential to your body at a cellular level. Eating raw eggs is very healthy, so long as you use fresh eggs and consume the smoothie right away, do not keep it. Add all of the ingredients to a blender and puree until smooth. Scrape down the sides of the blender to ensure you puree it all. *If using left over cooked black beans, make sure they are plain and have not been flavoured. If using tinned, then drain well. If cooking just for the smoothie then soak for 4 hours or overnight first, drain the soaking water (this reduces the gas producing properties of beans) and then cook until tender in fresh water. You can portion and freeze the cooked beans for future use. You don’t even have to defrost them to use in the smoothie. **Agave nectar is a syrup like maple syrup but from a cactus. It can be swapped for 1 teaspoon of zero calorie Xylitol which is made from birch trees and is very good for dental health. ***If you don’t have lecithin, nor wish to use a raw egg then add 2 tablespoons of sunflower seeds. Enjoy these great recipes and let us know what you think in the comments section. Be well, enjoy your precious time with bub.